You will be entered into booboo-london.com's free prize draw with the chance to win what you put into your order/cart/wishlist/comment on up to a value of £50. Customers may only sign up once. One winner will be drawn at random. The winner will be notified in writing no later than one week after the prize draw has closed. Prize is non-transferable, non-refundable and non-negotiable. There is no cash alternative. booboo-london.com reserves the right to (i) cancel ‘Prize Draw’, (ii) refuse any individual’s entry and (iii) amend the terms and conditions. Prize draw can be cancelled at anytime if we notice any suspicious activity by entrants. Win your ENTIRE booboo-london.com shopping cart! 3. That's It! You have entered the monthly Prize Draw and agree to receive marketing email. A random drawing will take place on the last day of Sept 2018. The winner will be notified by email. General competition rules apply. Please click here for Rules. THIS PROMOTION HAS BEEN CANCELLED email office@booboo-london.com for more details. Don't miss out! Place your order before end of Sept 2018 and be in with a chance to win your order back! Remember, all you have to do is enter the code: WINORDERBACK at the checkout. (NO PURCHASE IS REQUIRED) Max order value is £50. Items can be added to a Wish List in the store to enter the competition too. Competition/Prize Draw ends at the end of each month or on the holiday it relates to. There's something about cupcakes that brings a smile to our faces and we reckon that's exactly what we need in the face of grim April showers. So we've decided to give our friends a Free Cupcake ♥ courtesy of Pink Aubergine cupcakes by post with your order*. Just complete the form below so that we know who to send the cupcake to. That;s it! * To qualify you must purchase at least three items of fashion from our store. This offer cannot be used with any other promotion or offer. Offer is only for residents of the UK as cupcakes are freshly made at Pink Aubergine's bakery in Derbyshire. Offer Ends 1st May 2018. Can You Spot The Three Hidden Eggs On Our Website? 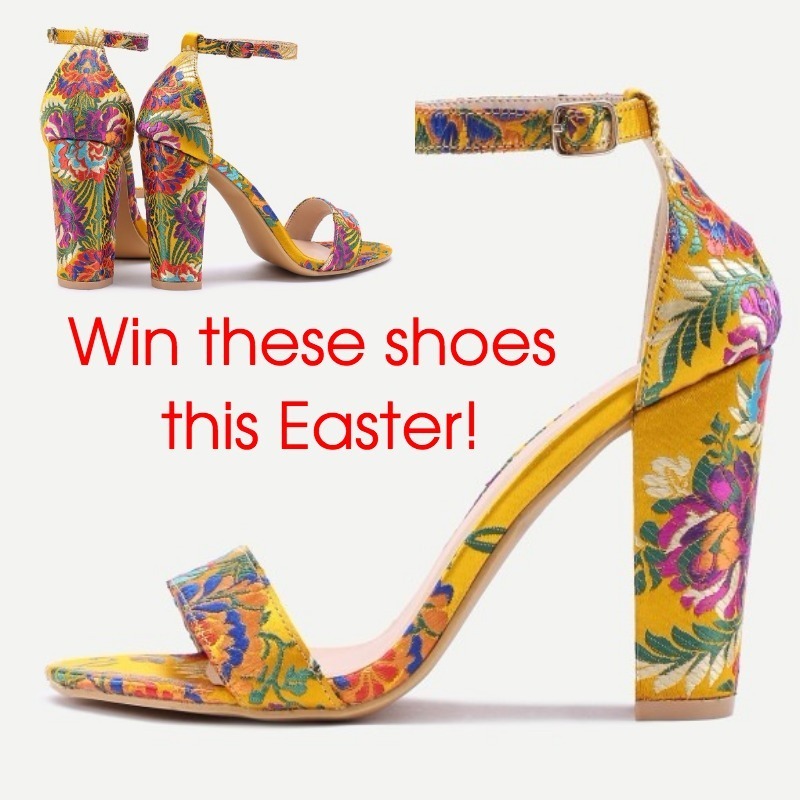 Find them all for a Chance to Win these Beautiful Shoes! Use code VIP25 on checkout to apply the discount! 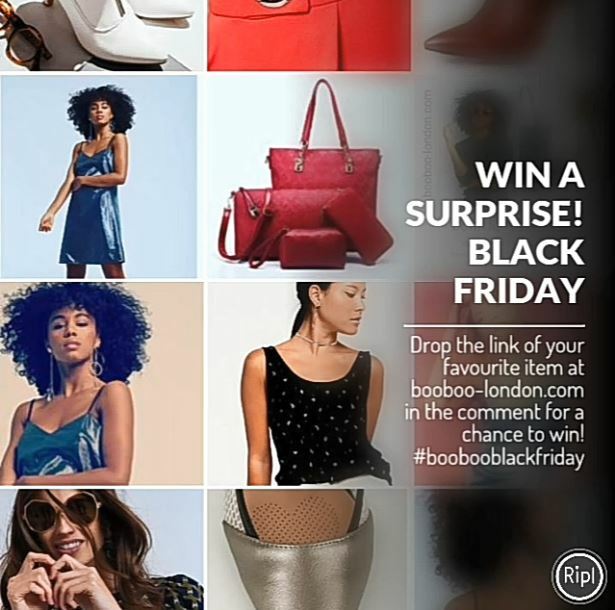 "WIN A SURPRISE" COMPETITIONS Go to https://booboo-london.com & drop a link of your favourite item and your email address in the form for a chance to WIN that item in that month or for the special holiday period or day. Competition ends at the each month or on the holiday it relates to. General competitions rules apply. See link below. Items can be mentioned in a social media comment or added to a Wish List in the store to enter the competition.